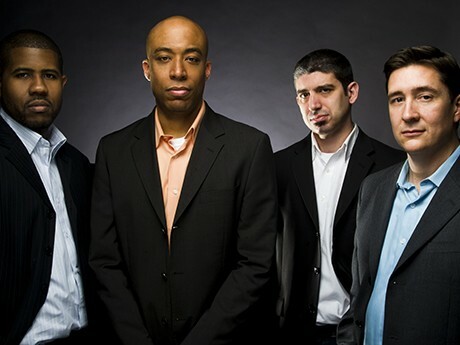 Chicago-based The Chris Greene Quartet continues to earn critical acclaim for pushing the boundaries of jazz. People can judge for themselves when the band, www.chrisgreenejazz.com, performs March 10 at City Winery, 1200 W. Randolph St., Chicago. The show starts at 7:30 p.m. and tickets are $10, available at www.citywinery.com. I had the chance to talk to Greene about the group and its latest activities. Q - Your band's last album, "A Group Effort," earned critical acclaim. Does the album's title sum up the album and what you wanted to achieve? What were your goals for the album? My goal for any album project is to simply document where the band is creatively and conceptually. It’s one of those things where all the stars seemed to align at the right time. Six months before recording the album, legendary recording and mixing engineer Joe Tortorici reached out to me with a phone call. He told me how much he appreciated my playing and the band concept. He expressed a strong interest in working with my quartet - be it recording in the studio, engineering a live show, or doing a ﬁnal studio mixdown for us. Keep in mind - Joe is a guy who has worked with MAJOR jazz and pop artists (Ella Fitzgerald, Whitney Houston) and feature ﬁlm soundtracks (A League of Their Own) over the course of his long career. So his endorsement was extremely ﬂattering. Also, I had a new drummer in the band - Steve Corley - who has roots in acoustic jazz, gospel, and R&B. In just three months, he took my playing and the band’s collective sound to a whole different level. So I was anxious to record the new chemistry. We had initially planned to record the album in the studio in December, 2011. But I got a call from the Mayne Stage, who wanted to put a concert together with my band as the headliner. The Mayne Stage is a historic and beautiful movie theatre from the 1910s located in the Rogers Park neighborhood of Chicago that has been retroﬁtted with top notch sound and recording capabilities. It’s now a renowned stop for national touring acts. As much as I love recording in the studio, I was even more psyched to record a live record. There are so many special moments that happen at a live gig that can’t always be captured in recording studio. The Mayne management and I agreed on a date of Thursday, October 27, 2011. I asked Joe - who had already recorded and engineered several shows at the venue - to engineer and record our concert. I asked my friend and keyboardist William Kurk (who introduces the band on the CD) to be our opener for the night. The Chris Greene Quartet recorded 9 selections in from of a lively crowd of 100 of our fans. Six of nine tracks ended up on the ﬁnal CD. The remaining three are available only on our website. On January 10, 2012, I initiated a Kickstarter campaign to help defray some of the promotion and graphic design costs. I only needed to raise $3,150. We reached our goal in a little over two weeks, and we ended up raising more than $5,000 overall. People from as far away as Australia and Portugal pledged their hard -earned money to be a part of this process. The album’s title - Well, the band is not all about just me. It’s not just me on stage with a “backing band." We’re four musicians on stage with a shared musical history, palpable chemistry and a uniﬁed band concept. Joe Tortorici did an impeccable job capturing our live show and mixing the ﬁnal product. And with the help of the Kickstarter campaign, I’ve been able to give the record the promotion it deserves. Also, I wrote 2 songs, our pianist Damian wrote 2 songs, and our bassist Marc wrote one. Q - Is the group working on new music? What should people expect from a new album? Will you be building on what you did with "A Group Effort?" We're always working on new music. Just this past month, we've added 10 new songs to the repertoire. We all write for the band, so that makes my job even easier. The only things I hope that people expect from us are artistic integrity, quality, and honesty. As far as building on the last album goes, I'm sure we'll be doing that on some level. But ultimately, I hope that we evolve from album to album. If the next album sounds exactly like "A Group Effort," I either need to step up my sax practicing or quit playing altogether. Q - What was your vision for your current band as opposed to your last band, New Perspective? I started the Chris Greene Quartet in October of 2005. I initially started the band simply to play some acoustic jazz on tenor saxophone. But I couldn’t ignore the soul and funk I heard as a child and the hip-hop that I listened to as a teenager. So all those inﬂuences gradually found their way into our repertoire and our band concept. Damian Espinosa, my pianist, was a holdover from New Perspective, my previous electric jazz/funk project. I’d played with Marc Piane, my bassist, on and off for about 10 years. And I’d known Steve Corley (drummer) for some time before he joined the band last year. My intention for using funk - not to be to lofty about it - is the same as that of Bartok or Beethoven, when they used folk melodies as an element in their compositions. So when there’s funk in the music, it’s because I hear it there, and not because I’m just trying to please the audience. So I had to ﬁnd people who were open-minded and well-versed in acoustic jazz as well as other styles and genres of music. Q - You started playing the saxophone at age 10. What drew you to the saxophone in the first place? Are there are other saxophonists you admire and why? Initially, I was drawn to the saxophone because it was shiny and had lots of cool buttons. I didn't realize that I was any good at it until my band directors kept giving me solos in the jazz band. I ﬁnd myself attracted to players who can simultaneously juggle rhythm and harmony, and emotion when they improvise. And not just saxophone players, either. From a straight-ahead standpoint, I like Charlie Parker, Lester Young, Coleman Hawkins Sonny Rollins, John Coltrane, Branford Marsalis and Stan Getz. And I’m also a fan of players who aren’t shy about their love for funk and R&B: Maceo Parker, Eric Leeds, Dave Sanborn, Steve Coleman, and Kenny Garrett. But when it comes to pure improvising and thematic development, Sonny Rollins is STILL head and shoulders above everyone. Q - You've performed or recorded with the likes of Common and The Temptations. What have those experiences taught you? For one thing, it’s interesting to see all the work that goes into a large scale pop music production. The lights, the great sound, the choreography, the intricate musical arrangements of familiar hit songs...it’s all a fascinating process. I’ve always thought that there isn’t a jazz musician on the planet that couldn’t beneﬁt from seeing a large scale pop show or a big Broadway musical. Besides the intrinsic entertainment value, you gain an insight into how to entertain people. I’m not saying that jazz musicians need to adopt a big splashy stage show with Auto-Tuned vocals and 25 background dancers. But jazz musicians need to give concertgoers something to look at and feel as opposed to just a bunch of extended solos and crazy time signatures. When I go to a show, I want to see musicians expressing themselves with passion and heart - not a bunch of music scales and patterns. If I pay to see you, I want to see you throw down. On the musical side, the Temptations gig was especially enjoyable for me because I grew up hearing Motown music. My parents were both huge fans of many of the artists on that label. And it was inspiring to see Otis Williams (the only living original Temptation) out there in his 70s still killing it on a nightly basis. As for Common - how can you not appreciate a local boy done good? Q - Your band doesn't play traditional jazz, whatever that means. Is it hard to draw people to your music when they have a preconceived notion of what jazz should sound like? Not really. Most of the people who frequent jazz clubs don't know anything about jazz, per se. They know what they like and like what they know. The average person could care less how many Sonny Rollins solos that I've transcribed. Ultimately, they want music that makes them that they can feel. Most jazz musicians listen to a wide swath of music. And I see no reason to hide it. At college, I would have theory and private lessons all morning, then jazz improv or arranging classes in the afternoon, and then would sit and watch "Yo! MTV Raps" in the evening. Plus, my mom was really big into Motown and Philadelphia soul, and my dad was into funk and disco. And because of all that, I already knew a lot of the things the rappers were sampling, which led me to check out James Brown, and then (Brown’s great alto man]) Maceo Parker, and the whole school of r-and-b sax playing. And somewhere along the way, all those wires were crossed and soldered together in my head. So even if an audience member doesn't know about jazz, there should (hopefully) be other elements in the music for them to relate to. I’ve had some people, who have a restrictive view of what "jazz’" is, actually lecture me – "What do you think you’re doing?," that kind of thing. But we were playing recently at the Chicago Cultural Center, and a 60s-ish black lady comes up – a lady who’d seen a lot in her time, heard people like Duke Ellington and Count Basie – and she said, "You know, you guys remind me of how jazz was played back in the day." She saw right through all the funk and the other stuff and got the traditional element. She found the honesty; she knew we were coming right out of the tradition. Q - What do you think your band adds to the Chicago music scene? What are the band's short-term and long-term goals? I have no idea. History and posterity will decide what I or my band have added to the scene. We have performed as far north as Madison, Wis., as far east as Detroit, Mich., as far west as Burlington, Iowa, and as far south as Champaign, IL. We plan to do even more touring in 2013 - nationally and - hopefully - internationally. We plan to return to the studio this summer as well.